Hi, and welcome to Co-parenting For Your Kids. 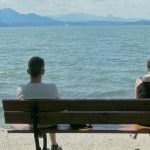 My name is Kirsty and I am a Federally Accredited Family Dispute Resolution Practitioner (FDRP). “What’s that?” I hear you ask. FDRP’s are mediator’s specialising in family (or parenting) matters. What this means, is that in my practice I help families (Mum’s and Dad’s; Mum’s and Mums; Dad’s and Dad’s; extended family members) find ways to move forward in their parenting with their ex-spouse. 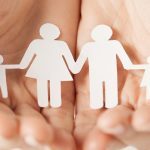 What happens during family mediation? As a mediator, I help parents have conversations with each other, about what they want and how they want things to be in the future. This can mean parents might make agreements about where the children live and how much time they spend with each parent; how the parents will communicate with each other; or even which school the child will attend. What they talk about is completely up to them and specific to their individual needs. My role is not as a judge or decision maker but rather an impartial helper with tools and skills to support each party through the mediation process. The breakdown of a marriage or relationship is hard. It becomes increasingly difficult when there are children involved. Not only do the adults need to come to terms with the loss of their spouse, but also the dream of the life they thought they would have. Sometimes the hardest part is accepting that you are no longer in the life of your child on a daily basis. At Co-Parenting for Your Kids, you will find tips, techniques, training courses and support programs to help you navigate the changes you and your children are going through. 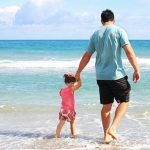 You will notice there will be a lot of information for those dealing with a parent who is difficult or ‘high conflict’ – this is when there needs to be an even greater focus on your children. There will be links to professional services and information about what some families do to finalise their property and children’s matters. However, this site will not provide legal advice – please seek counsel from an Accredited Family Lawyer if you need legal information. There are links to Family Lawyers I have personally dealt with and highly recommend on the Legal Referral page. If you’re struggling right now and don’t know where to start, what to do, or how to handle a particular problem, please ask yourself : what would our child want, and what can I do to make it better? If you feel as though you are in crisis and need immediate emotional support, LifeLine provides 24 hr online counselling at www.lifeline.org.au or you can phone 13 11 14 within Australia.